Thomas Buckingham, portfolio manager of the JPM UK Higher Income Fund, discusses UK inflation and what it means for investors. It came as a surprise to many when UK inflation fell to 2.4% in April (based on the consumer price index (CPI)), down from 2.5% in the prior month. 1 Before the data was released, concerns had circulated about the potential for a sharp rise, and a resultant conundrum for the Bank of England, given the sharply increasing oil price, tight labour market and sterling weakness since the Brexit vote in 2016, which has pushed up the prices of imported goods. Over the last couple of months, a loss of momentum in economic data (albeit still very much in expansionary territory) has already caused the Bank of England to postpone raising interest rates. With inflation on the slide— the market’s expectation of at least two hikes by the end of next year may be challenged.2 What does this mean for investors? One of the most talked about sectors in relation to inflation (or the lack thereof) is financials, and banks in particular. When inflation increases, rate rises become more likely, and the outlook for banks and their net interest margins (NIMs) (essentially the difference between what they pay to depositors and what they charge borrowers) becomes more positive. Conversely, if rate rise expectations get pushed out, due in part to lower levels of inflation, the likely impact on banks becomes negative. 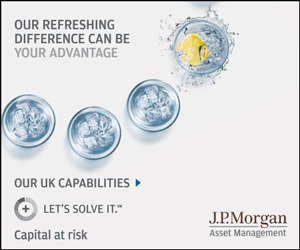 In the JPM UK Higher Income Fund, we select stocks purely from a bottom-up perspective, focusing on fundamentally sound companies with sustainable, high dividend yields. In the financial sector, we continue to avoid several of the pure domestic plays, where interest rate exposure is solely to the UK, and the market environment remains difficult from a competition and pricing perspective. We remain positive on internationally diversified banks such as HSBC, where risks associated with individual markets are lessened, and net interest margins can benefit from rate rises in other markets, such as the US. Source: Bloomberg; data as of 7 June 2018. Source: HSBC; forecast as of 23 May 2018. Source: HSBC; data as of 13 April 2018.